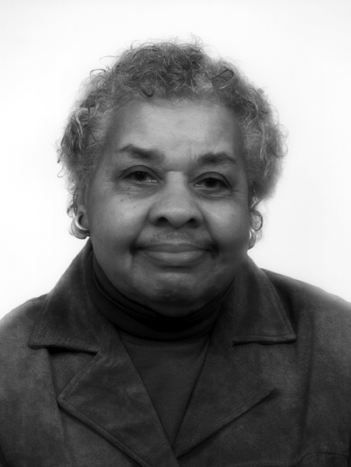 Vernice Ferguson was a senior fellow in the School of Nursing at the University of Pennsylvania, holding the Fagin Family Chair in Cultural Diversity from 1993 to 1997. From 1980 to 1992 she was the assistant chief medical director for nursing programs in the Department of Veterans Affairs. In this position she was responsible for the largest organized nursing service in the world, with more than 60,000 nursing personnel, and became a forceful advocate for higher wages, better opportunities, and more respect for nurses. Prior to this assignment, she was the chief of the Nursing Department at the Clinical Center, National Institutes of Health. She received her RN degree from New York University in 1950 and a master's degree from Teacher's College of Columbia University in 1957. She is an honorary fellow of the Royal College of Nursing of the United Kingdom, the second American nurse so honored. She is also a fellow of the American Academy of Nursing. She is the recipient of eight honorary doctorates and two fellowships, one in physics, the other in alcohol studies. In 2008, Ms. Ferguson received the Freddie Lifetime Achievement Award.